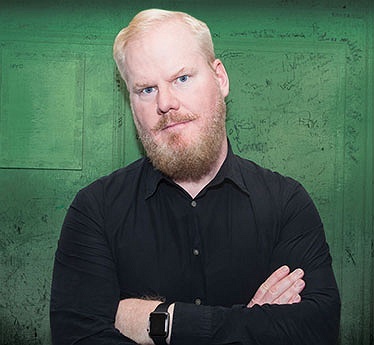 Subject: LongIsland.com - Your Name sent you Event details of "Jim Gaffigan “Quality Time Tour” (Late Show)"
Jim Gaffigan is a Grammy nominated comedian, actor, writer, producer, two-time New York Times best-selling author, top touring performer, and multi-platinum-selling father of five. He is known around the world for his unique brand of humor which largely revolves around fatherhood and his observations on life. Opening wide on 11/22, Gaffigan will be seen in Entertainment Studio’s drama, Chappaquiddick, opposite Jason Clarke, Ed Helms, Bruce Dern and Kate Mara. The film follows the story revolving around Senator Ted Kennedy (Clarke) and the tragic car accident that took the life of Mary Jo Kopechne (Mara) in 1968. Gaffigan plays District Attorney Paul Markham, who was on the island of Chappaquiddick during the accident and helped Kennedy with the cover up. The film premiered at the Toronto International Film Festival (TIFF) this year and was immediately acquired by Entertainment Studio’s for $20 million. Gaffigan was recently seen in IFC Films/Showtime’s, Chuck, opposite Liev Schreiber, Naomi Watts, Ron Perlman and Elisabeth Moss. The sports drama follows the true story of boxing champ Chuck Wepner (Schreiber) who in 1975 went 15 rounds in the heavyweight world championship against Muhammad Ali. Gaffigan portrays John Stoehr, the ever-loyal best friend of Wepner. Additionally, he recently wrapped production as the leading man in Cold Iron Pictures’ and Imagine Entertainment’s comedy, You Can Choose Your Family. In the film he plays a seemingly normal father of a loving family whose home life is hilariously turned upside down when his 17-year-old son discovers that his dad has a second family. The film is directed by Miranda Bailey and produced by Ron Howard, Brian Grazer, Karen Kehela Sherwood, and Amanda Marshall. Gaffigan’s other upcoming films include the Bron Studios comedy, Drunk Parent’s (Alec Baldwin, Salma Hayek) and the leading role as the voice of “Peng” in Original Force Animation’s Duck Duck Goose (Carl Reiner, Stephen Fry). Last year Gaffigan and his wife, Jeannie, ended their critically acclaimed semi-fictitious television show, The Jim Gaffigan Show, after two seasons on TV Land. The series, lauded by The Los Angeles Times as “Fun and Funny,” and People Magazine as “One of Summer TV’s bright spots,” was written by Jim and Jeannie who both also served as executive producers and showrunners. The single-camera comedy co-starred Ashley Williams, Michael Ian Black, and Adam Goldberg and revolved around one man’s struggle to balance fatherhood, stand-up comedy and an insatiable appetite. In December of 2014, Gaffigan became one of only ten comics in history to sell out Madison Square Garden and a few months prior, Gaffigan had the honor of performing for Pope Francis and over 1 million festival attendees at the Festival of Families in Philadelphia. In 2016, Forbes named Jim as one of the world’s highest grossing comedians. Additionally, streaming site Pandora recently announced that Jim is the most popular comic among its users with over 647 million spins to date. Along with Cinco Gaffigan’s first four specials include Beyond the Pale -2006, King Baby -2009, Mr. Universe -2012 and Obsessed -2014. Obsessed premiered at #1 on iTunes which marked the fifth time Gaffigan reached the Top 25 Comedy category on iTunes. The album also earned a nomination for ‘Best Comedy Album of the Year’ at the 2015 Grammy Awards. Head to The Paramount's website for tickets and additional info.